The following is part of a series of project updates from mothers2mothers. MHTF is supporting their project, Using Cell Phones in PMTCT. 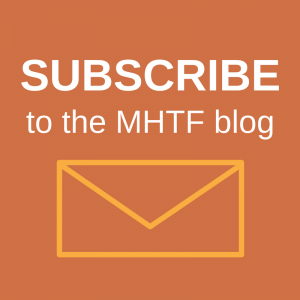 More information MHTF supported projects can be found here. mothers2mothers (m2m) continues to explore integrating Active Client Follow-Up (ACFU) as part of its facility-based PMTCT education and psychosocial support program, with the aim of encouraging women to continue accessing health care for themselves and their children. 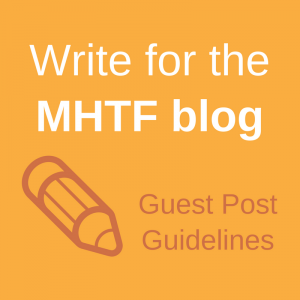 MHTF is supporting m2m in the process of conducting pilot activities in Malawi and Zambia to inform m2m’s plans for scale up and integration of ACFU across all of m2m’s programs. Over the last couple of months at the pilot sites in both Malawi and Zambia, m2m has provided its Mentor Mothers and Site Coordinators with ACFU training and follow up of clients has begun. In this stage of translating ACFU from an idea to an operational intervention for quality improvement of services, teams in both Malawi and Zambia have been documenting successes, challenges, and the process of ACFU to inform scale-up across the organization. m2m management staff are conducting support visits to ACFU sites in order to monitor progress and have reported that staff are currently largely focused on obtaining consent from clients to conduct follow up activities, which varies depending on their access to a mobile phone, and comfort with staff contacting them either via phone or home visit. Ensuring confidentiality is a major component of ACFU. For example, in Zambia, clients have demonstrated a preference for home visits in several sites and bicycles are being used to reach clients who live far from facilities. They have expressed discomfort in receiving contact from m2m through cell phones, since these are often shared amongst family members. Some challenges to home visits have arisen with the onset of the rainy season, making the roads difficult to traverse in many areas. There is also a fear of encountering wild animals in the more rural areas. Different challenges to client follow up have been identified in Malawi, where the team is finding that some of the key PMTCT priorities for follow up that they have identified have extenuating circumstances that complicate ACFU. For example, in some sites, ensuring clients come back to the facility for CD4 test results is a key follow-up priority. But where the CD4 count machines intermittently break, this clearly impacts on the success of the ACFU intervention. After only a few weeks of conducting ACFU, it has become clear that many of the challenges and specifics of ACFU activities are country and, often, site-specific, demonstrating the importance of the local context of ACFU activities. Documentation of learning will not only help to inform ACFU activities at m2m, but will also speak to the role of telephonic and home visit interventions in global health programs on a broader scale. We look forward to learning more from Malawi and Zambia in the coming weeks.